Did you know that freezing temperatures could cause a hive to starve to death, even if there is food sitting right above them? Hunger isn’t always strong enough motivation for cozy little bees, which is one reason why we should provide our bees with easily accessible food stores. Ideally, you can leave a super or two of honey on a hive and they will over winter on it just fine. Each hive requires 50-100lbs of honey, depending on your location, and sometimes that is simply not an available option. Then, you must cook up some sort of substitute. Sugar syrup is an excellent substitute most of the time. Feeding it during the fall calls for a heavier mixture, like 2:1, so the bees aren’t as tempted to rob the syrup from each other. 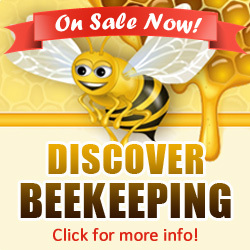 For details on how to feed syrup, read the article on this website titled “Feed Your Bees”. Also, sugar syrup is not necessarily a good idea for winter feeding since the bees aren’t very apt to leave their cluster for it when temperatures fall below freezing. A candy board will sit above the frames like an inner cover and hold the fondant on the underside (facing the top of the frames) so the bees can reach it easily. A mold can be used to pour the fondant into before the fondant cools. Once it cools, you can remove the it from the mold and place directly on top of the frames; as long as you add a shim to provide room for the fondant in between the top box and the inner cover. Plastic frames can be used as a mold, then when the fondant has cooled you can place the frames in a box and set the box on top of the brood chamber, just like a honey super. Dry sugar is another alternative, known as the mountain camp method. You can pile granulated sugar on top of a piece of newspaper and place on top of the frames. 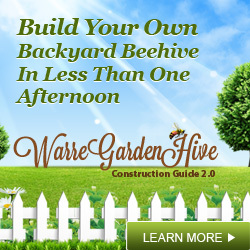 Make sure that you remember to leave room for the bees to get to it; an inch or two on either side should work. Don’t forget to add a shim so that there is enough room for the sugar in between the top box and the inner cover. Most people only use this method in an emergency situation but, it will work if you ever need it. Just remember, your bees survival depends upon their food stores. So make sure your bees have what they need and your bees will reward you for your time and effort next spring. Ha! Someone asked me the other day how I planned to feed my top bar hives and I drew a complete blank. Thanks for sharing! we usually use honey as medication.but in the case of feeding the bees sugar,i don t that we ll be able to use it as medication. The reason for using a 2:1 syrup ratio in the fall is not to prevent robbing, as this article states, but because fall syrup is meant to be stored for winter and must have less water in it. Honey is created from nectar, of course, by bees evaporating most of the water out all Spring and Summer. Your syrup must be thicker in fall as they don’t have time to evaporate water from 1:1 syrup. And when mountaincamping, you don’t need to leave “an inch or two” of space around the edge of the newspaper for the bees to get to the dry sugar, the winter cluster will be directly below the sugar and will chew through the paper to get the sugar.